A book offers deep insight and understanding of a concept. For interactive application of the St.Gallen Business Model Navigator methodology, we recommend the BMI Pattern Cards. 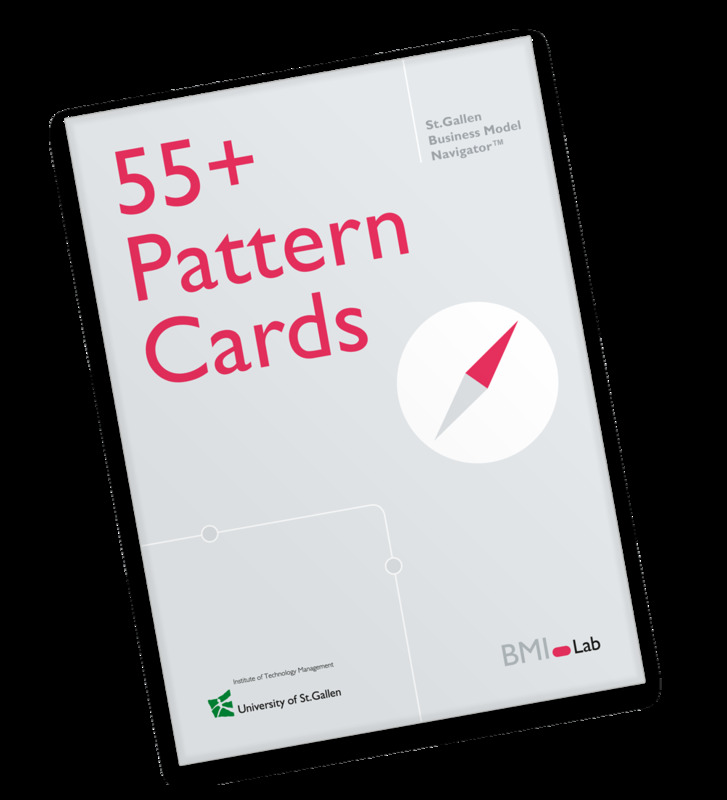 The cards contain all 55 business model patterns complete with brief description, fun illustration, and some easily digestible examples of companies that applied the pattern. The cards contain enough information to fully explain each concept without letting the creative process get bogged down in detail. If you are looking to organize a business model workshop or just want to do a little brainstorming with your team, the BMI Pattern Cards are just the thing you need. In most European countries you can buy the cards on Amazon. Please send an email to Katie Zechar [katie.zechar@bmilab.com] for any questions related to the ordering of BMI Pattern Cards. You can also download a sample of the cards by clicking in the button below.